Where in Ireland was Mary from? Having been there what did you think of the town? How does it compare to America? 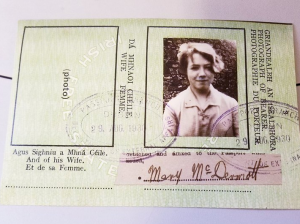 Mary was born in 1914 and was from a small town in Ireland called Leitrim. She was the oldest of 10 children in an extremely poor family who made their income by rolling and selling peat bog. Her life was so dismal there and oppressed. It was during the a time of Catholic massacres, and her family was right on the border of Northern and Southern Ireland and they were Catholic, putting her family in a very violent spot. Her life in America was immediately better, even though she came with nothing, because she felt much safer. What was Mary like as a person? Do you feel that America changed her? Very open, loving, an absolutely amazing grandmother and mother. She was so open and progressive, and her childhood gave her a very different viewpoint after seeing so much violence. It made her want to help others and keep spreading love. How old was she and where did she settle? How was her transition to America? 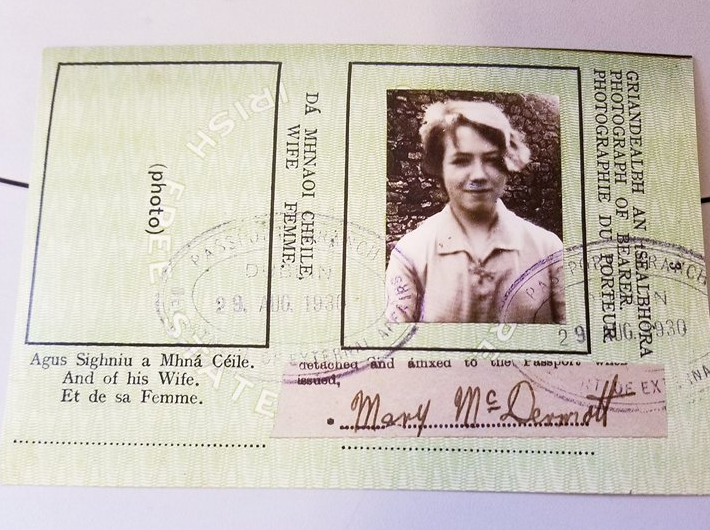 Mary was 16 when she came to America by herself on a boat. She was in the lowest section, in the bowels of the ship. She came into Ellis Island on August 9th, 1930. She found a boarding house in New York for young, unwed women, that she was able to find through the Catholic church. Mary got a job at a hospital in New York city as a nurse’s aid. What were the major challenges Mary had? She was terribly lonely and missed her family. As she put it, she came from a town where she knew everybody to a city where she knew nobody. All the money Mary made, she would send as much back to her family and just lived off the bare minimum. When did Mary meet her husband? Do you feel their relationship benefited her in terms of blending in? She worked at the hospital when a man came in to visit his brother, who was the pharmacist. He introduced himself with a fake name because he knew she was Irish (and most likely Catholic), and he did not want her to know that he was Jewish. He started courting her and revealed his real name: Louis Greene. She was so in love with him, it did not matter to her. What did Mary do for a living? Nurse’s aid where she cleaned bedpans. What was one of Mary’s greatest achievement in your opinion? Always opening her door to anyone regardless of race, religion, and ethnicity. She was extremely progressive, after seeing all the hatred while growing up in her time. Because of that, she strongly believed to judge people on their character, not on how they appear. Knowing Mary, what did you feel her greatest values were? What do you think she would think of today’s America? Mary would be deeply disappointed that we have a president who does not have deep family values. She was someone who had faith in humanity and would be angered that the president lacks in everything including morals, and family values. Where did Mary move to and live throughout her life? How did she feel about these places? How and when did Mary die, and where is she buried? Buried in Claremont, California next to her husband. The story of Mary Kathrin McDermott was recorded by her great-granddaughter, Annie L. Thie, through an interview with her mother, Jennifer Thie.